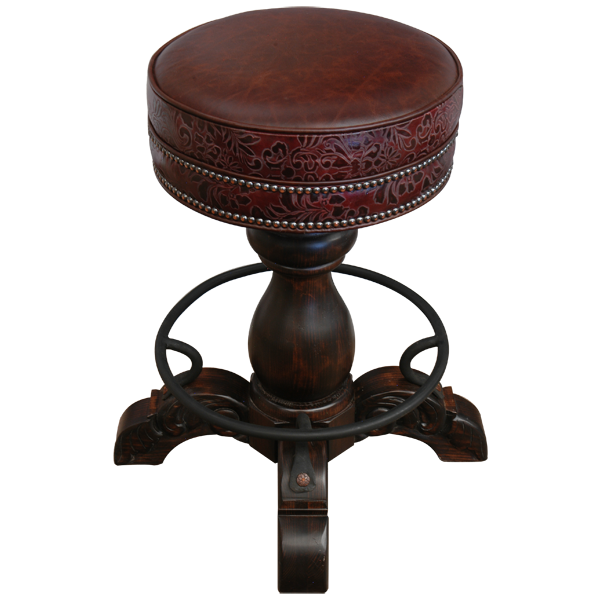 This handsome, handcrafted bar stool has the same basic design as found in our family of El Matador Bajo bar stools. 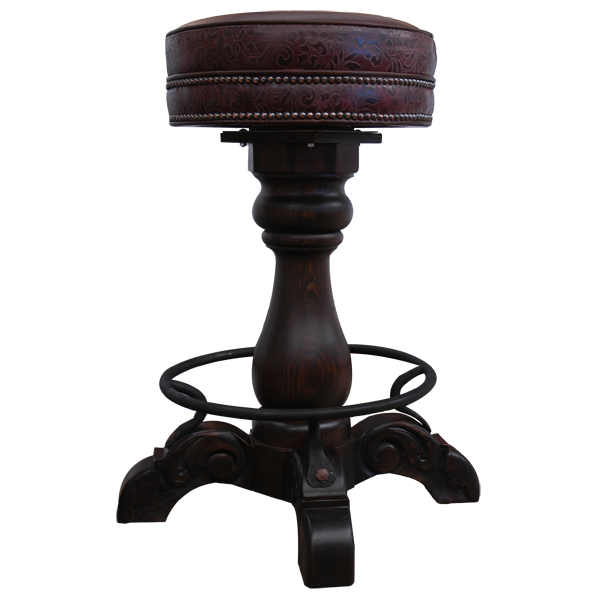 This particular bar stool has a luxuriously tooled leather top, with a slightly different pedestal and feet, and the stain also varies slightly. 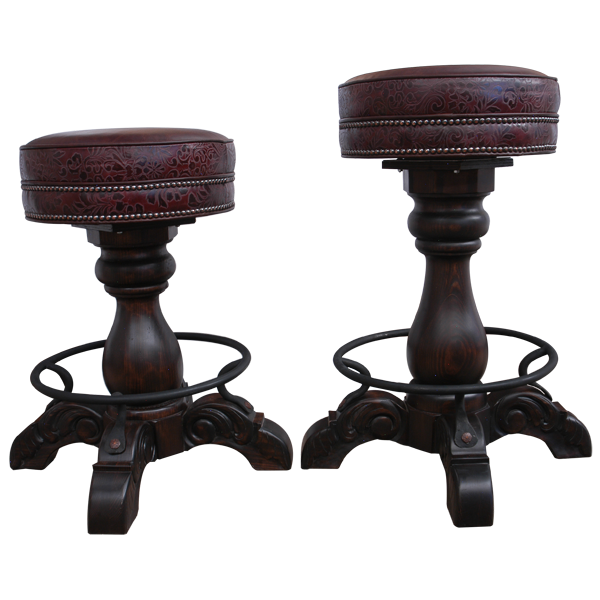 As in all El Matador Bajo bar stools, this piece of finely crafted furniture contains a circular top covered with rich leather and real cowhide hand tacked around the base, trumpet pedestal, four hand-carved feet, and a hand forged iron circular footrest. As in all of our El Matador Bajo bar stools, it swivels 360° and is 100% customizable.